We were from Wisconsin, now we're Floridians (we survived Erma). General handyman, operated family business for 30+ years, many varied skills, certificated aircraft mechanic w/Inspection Authorization. Currently a Mobile RV repair / maintance one man show, if I can not fix it it's not broke! 1996 HR Endeavor LE Scooter motorcycles on racks, front and rear. The slice of paradise shared! rural, this is the place! Birds, Gators, Snakes, Bears, Bobcats and Panthers too! Very nice hosts on beautiful property! This was a great place to stay and enjoy the beautiful surroundings. They even had 50amp hookups which was a HUGE plus! The hosts we wonderfull, we wished we could have talked more. Do beware, there are snakes, panthers and fire ants in the area. We did not see any, but the host were nice enough to notify us of all this when we arrived. Get out in nature to see what you can see! Throughly enjoyed our stay. Lots to explore right in this Florida country home. Candice has a great knowlege of the many animals and plants that reside on the property. 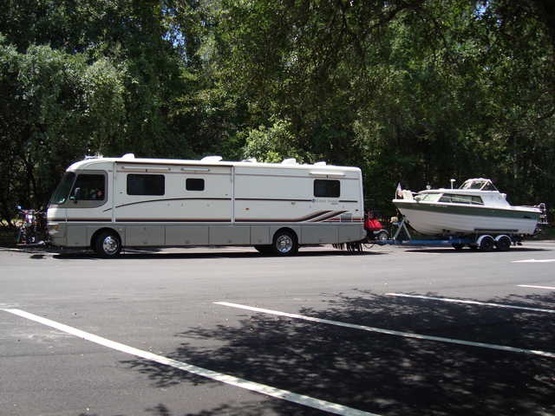 Jay has a wealth of rv knowledge and we thank him for his suggestions. Hope to visit with these fine folks again. Two very welcoming hosts, in a beautiful environment! We had a great visit here in this wild paradise. Remote, quiet, yet not far from downtown Fort Myers. The hosts were super friendly and we look forward to hopefully hosting them someday! We enjoyed our stay and recommend. An amazing remote wide open space with very comfortable and friendly host. Very nice and huge place. Love it. Jay and Candy were nice. Thank you! What a great place to boondock!. We had friends in Ft. Myers, and spent most of the time with them, but our hosts were wonderful. Away from the city, quiet and great place to stargaze..
We thoroughly enjoyed our stay here. Lots of space, beautiful area, abundant wildlife, accommodating hosts. It's obvious they take great pride and pleasure in their property and are working hard to make their vision for it come to life. Staying here during a super fullmoon was absolutely a delight! The owls & night calls of the wild birds, were so soothing to hear. There are nearby nature walks, and not too far from the beaches and fine dining, to visit some friends of ours who arrived from England. Thank you for our quiet retreat time. Great location within a half hour from the hussle and bussle of Fort Myers. A piece of paradise surrounded by conservation area. Great friendly hosts. Thank you for the great stay. We enjoyed our stay here so much we stayed an extra day and enjoyed the serenity this spot gives. We thoroughly enjoyed our stay here. The host was awesome and the spot was gorgeous. It was super quiet and peaceful. We enjoyed the tranquility and loved watching the beautiful birds and sitting out in the amazing weather. We would love to come back some time. We felt very rested after our stay here. The host was very RV savvy and hospitable. We were not too far from town yet far enough away that the sky at night was spectacular. What a great place to spend a couple nights. Very peaceful and quiet at night. A few planes can sometimes be heard overhead with the airport close by but this only lasted about 15 minutes one day. The hosts are amazing, Easy to get to Fort Myers! Hoping to make it back again next winter. What a beautiful little slice of Heaven! 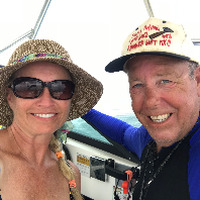 Jay and Candie have a beautiful place just east of Fort Myers out in the country, yet so close everything in town. Quiet open space great, sunset over the trees, with all different kinds of birds to just sit and watch. Just a wonderfully relaxing, and tranquil place away from the hustle and bustle of in town. Jay and Candie both were so very welcoming, it was more like meeting up with old friends then meeting someone for the first time when I met them. And, oh my goodness, can Candie sing! If you are fortunate enough to be there on an evening when she is going to be singing, check it out, she is amazing! Thank you both for such a wonderful time so, you can bet I'll be back! Thanks for rolling out the welcome mat for us! The spot was nice and serene and the wife and kids really enjoyed their time. I had the pleasure of staying with Candy and Jay for two nights and these are the kindest, most-welcoming hosts you could hope for. That's what I discovered only AFTER I contacted Jay because of a water and a gas leak on my rig. He's the kind of guy who can fix anything. When I wrote through BW asking if I could hire him to diagnose the troubles, he responded right away and as a mechanic-detective, tracked down the issues and fixed them. His charges were very fair, and I immediately liked him. Then had the pleasure of meeting Candy, and they said "Sure, we'll make room so you can stay the night," even though I had originally reached out only as a fixit resource. Such an enjoyable visit, I came back. These are trusting, open-hearted, talented, wonderful people. And aside from their gracious hospitality, if you're having RV troubles, hire Jay. If he can't fix it, it ain't broke! A beautiful area out in the country. Unfortunately it rained the whole time but the hosts gave us lots of info about the area as well as wildlife. We were welcomed by Yaj who got us situated and plugged in. We had a nice gravel ride to the Wild Turkey Strand preserve where we had a hike and saw some birds. Our day was a bit rainy, so we went to Fort Myers for errands and a stop at Fort Myers Brewing for a great beer. Yaj was kind enough to let us dry camp a second night. Despite the rain, we still had a great time. Yaj was a great host. From the moment we pulled up he welcomed us and helped us get setup with everything we needed. Thanks for letting us enjoy your slice of paradise for a few days. Next time we hope to see a panther! We really enjoyed our visit with Jay and Candie. Jay looked at our furnace problem and told us what he thought it would take to fix it. Candie is quite a professional singer. We sure did enjoy her singing. Hope to hear her again. Thank you to our wonderful hosts for a beautiful stay at their quiet oasis just outside the city. We felt so welcome and had a great stay! Can't wait to stop again! The hosts are friendly and gracious. Their place is peaceful and it feels like you are away from the hustle and bustle, yet it is only a short drive to town. You have the conveniences combined with a quiet homebase- it is a perfect get away! And, as someone else mentioned, if you are having RV trouble Yaj has an RV repair business, which is a bonus if you are on the road and needing to take care of a few things. They were very friendly and helpful. They even allowed us to stay a second night when our original request was just one. I would be glad to stay here again in the future. Private and peaceful site. Many thanks! Our stay was brief, just one night passing through, but the wide open space was perfect for a big rig and tow. Just plan on taking it slow on the 2.5 mile long gravel road leading in. Very quiet space and very accommodating hosts! Hope to pass through again. Beautiful, peaceful, quiet and safe. More than enough room for our 42 foot plus towed. Friendly, happy hosts. Perfect stop. If in the Fort Myers area , this is a must stop!! Jay and his wife are the nicest people. The location gives you all different kinds of birds and wildlife to take in. Hope to see them on the road some time or maybe back in this area again!! We loved staying here. Quiet serenity several miles down a good dirt road surrounded by a nature preserve. Our morning walks provided some nice results; my wife sighted a Florida Panther one morning and I identified over 30 species of birds in a couple of hours. The host couple, good people, were very friendly making us feel very welcome. We loved it and recommend this place to anyone wanting a quiet stop. We had a wonderful stay here! Their large property is so easy to get in and out of, and the landscaping was beautiful. The campers open away from their house, so there’s a sense of privacy, too, not feeling as if you’re “in their space”. Absolutely recommend! Staying at Yaj's was a great experience. Incredible site and friendly host! 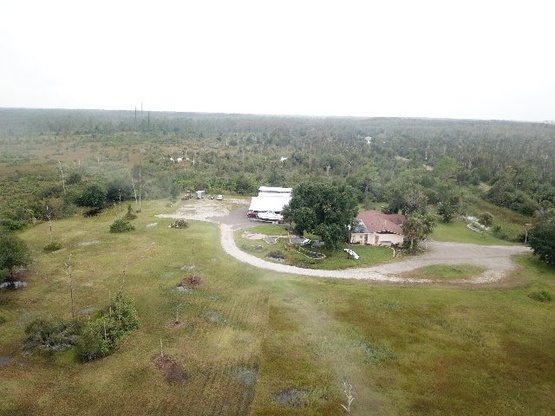 This location is a bit rural, so expect some Florida wildlife and bright stars at night! A short drive into Fort Myers if you need anything. I drove out to Sanibel and Captiva Islands and it was an easy day trip. The host was very friendly and helpful- he helped fix some latches on my RV compartments and took a look at my generator that has been having issues. Very knowledgeable and generous with his time. Don't miss a chance to stay at this great locations! Jay and Candy were great hosts. They gave us good directions to their place and helped get us settled in. They have a great place if you want peace and quiet, but still not far from grocery shopping etc. They have a level spot with 50 amp electric and water, lots of open area and an abundance of wildlife. Also Jay has a RV repair business "Happy Coach LLC', so if you need anything done to your rig he is there for you. We would love to stop back and spend some more time with them if we are ever back in the area. This has been a great stay for us. We loved being out in nature, even though we were in a big city. Lots of wildlife and just a beautiful spot. So glad to have met these great people who have made us feel welcome. Great hosts, very knowledgeable. It was just what we needed in a quiet spot on their large piece of land - very grateful! We enjoyed our two-night stay at Yaj’s Little Slice of Paradise. It is close to the city, but out in the country on a lovely piece of land. The owners were very accommodating and the place was very quiet. I give it 5 stars out of 5! This host couple was very welcoming and their property was a slice of heaven, just like another boondocker posted. We highly recommend this site. A wonderful place away from the hustle and bustle. A beautiful place out in the country with no one else around. The owners were very helpful in getting us set up and telling us about the property. It was nice to be in such a quiet place after several days in a city! Our hosts were very welcoming and their property was very quiet. Plenty of space for a rig to turn around. Wonderful hosts both very resourceful. Their little piece of paradise is close to beach and country. Looking forward to trying out a few recipes thanks Candie x thanks for sharing your oasis with us and hope we see you again! Great experience, beautiful place. We had some issues with our trailer that needed attention, and yaj solved all of them. And he did a fantastic job! If he can't fix it ..it ain't broke. Absolutely wonderful folks who we will see again. They are welcome in our world anytime. Great place to observe wildlife: we saw gators, a turtle, and all kinds of birds. Thank you for letting us stay there, we had a wonderful experience. Little piece of heaven in busy Fort Myers. A secluded oasis , 1/2 hour from the busy beach of Fort Myers. You can go down to the busy beach and tourist areas and then come back to a piece of paradise. Yaj location in down a dirt road 2 1/2 miles with conservation area surrounding it. Quite with lots of birds and a resident alligator. So peaceful and quiet. Our hosts were amazing and helpful in telling us places to do and go. Would recommend this location to anyone who wants tranquility. Yaj was a fantastic host. Super friendly, very accommodating, and just an all-around great human being. Highly recommended!